After the huge discount sale on Amazon and Target, The Sims 4 game pack bundles are now available at amazing costs. For less than $26, you can go for a three pack and save over $25 while gaining access to some of the exotic creations Maxis made. The Sims 4 is never complete without expansion packs and game packs. There is a huge list of new launches and each one of them could individually cost your $19.99 or $39.99 making it pretty expensive to own them all. At CD Keys, a website known for selling games and expansion packs at affordable rates a new sale is on. The website is offering huge discounts and they are not giving them out individually but rather as three packs. At least four different bundles are spotted on the CD Keys website. All of them have pretty decent pricing making it easy for you to buy one or rather get six game packs all at once for under $60. The website is pretty legit based on the reviews posted online and it has been around for long, providing discounted games on PC, PS4, Xbox One among other platforms. The Sims 4 Bundle #1 includes SPA Day, Perfect Patio and Luxury Party. All of these game packs are geared towards hosting parties and if you are all about being chilled out, this is the perfect bundle to go for. It is priced at $25.59. The Bundle #2 is a pretty collective deal as it includes Outdoor Retreat, Cool Kitchen and Spooky Stuff pack. The deal pack is priced the same as other bundles at $25.59. The Bundle#3 includes Dine out, Movie Hangout and Romantic Garden. Based on the packs available in this one, it is obvious that if you are more interested in romance, dating and creating a long lasting relationship with a potential Sim, this should be the one to go far. 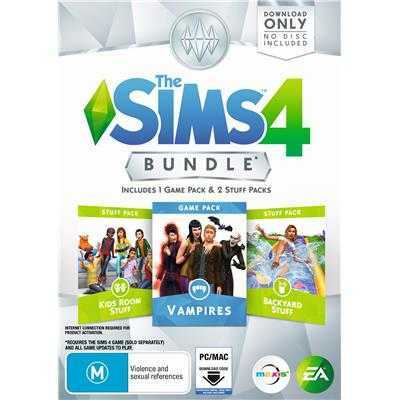 The last Sims 4 game pack Bundle #4 includes Backyard Stuff, Kids Room and Vampire pack which is priced much lower at $21.09. It is such a sweet deal because you get the latest vampire pack with it. 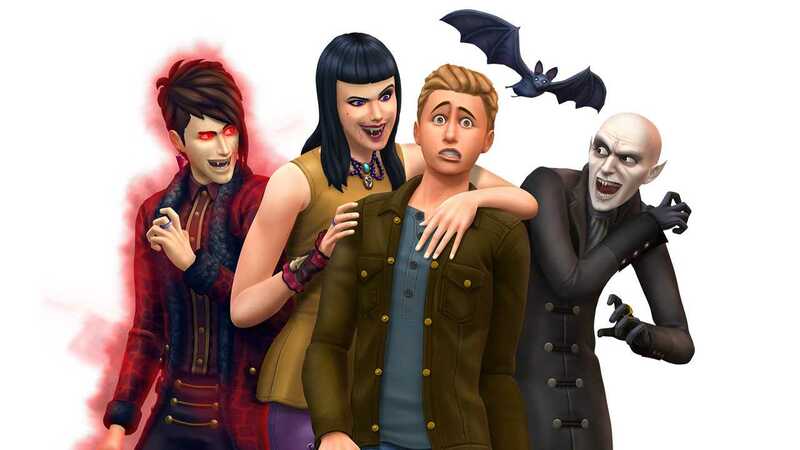 The gameplay elements available in the pack are pretty expansive allowing you to create a vampire Sim, hunt in the darkness and even build a huge spooky mansion of your own. The CD Keys discount doesn’t have an actual end date but the sooner you buy it, the better it is so that you could save some cash. The Origin keys to redeem your bundles will be delivered to you once you complete the purchase.